In just a few weeks’ time, a whole new crop of college graduates will emerge from their academic cocoon, spreading their wings to fly headlong into the working world. Maybe you’re one of them. If so, then we’re probably not the first to ask you this question: What are you going to do after you graduate? Hopefully you’ve already got a post-college job lined up, but the sad reality is that many do not. Now’s the time to start networking, researching, and distributing copies of your resume. It’s also the time to get smart about the career search, and to avoid some of the most common job search errors that new and recent grads tend to make. Not doing your research. You’ve been in college for four (or more!) years now, and if there’s one thing you’ve learned, hopefully it’s how to do some basic investigation. In some ways, the job search is no different from a term paper: The starting point is research. Before sending a resume to a specific company, and certainly before interviewing, make sure you investigate what the company really stands for, what its culture is like, what the position you’re applying for typically entails, and so on. Google is your friend here! Not using all available resources. And when we say all available, we specifically mean your school’s career center and/or alumni network. Ensure that you connect with the people on your campus whose job is to help you find work! Being generic. Four years of higher education has surely made you a uniquely gifted and qualified person. Don’t bury that uniqueness under a bland, faceless resume or cover letter. Make sure you tailor all of your job search documents to the specifics of the position for which you’re applying. Ignoring an embarrassing social media presence. Do you have a never-updated LinkedIn page, a Twitter account crowded with off-color jokes, or a Facebook profile loaded up with drunken Spring Break photos? Might want to take care of those before you start getting your name out there to hiring managers! 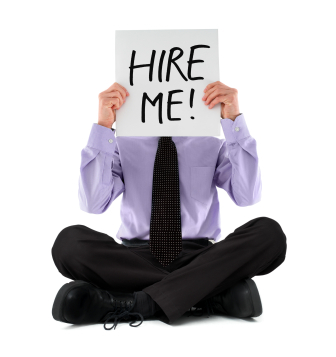 Assuming that professional resume services are for experienced professionals. Having a professionally crafted resume can give you just the advantage you need over the competition—and if you’re concerned that it will prove expensive, take note: Resume teams like Grammar Chic’s will provide reasonable prices and discounts to soon-to-be-grads. There’s no time like now to develop a truly stunning resume! Get started now—and make your first step calling our resume writers. Grammar Chic’s resume team can be reached at 803-831-7444, or www.grammarchic.net.